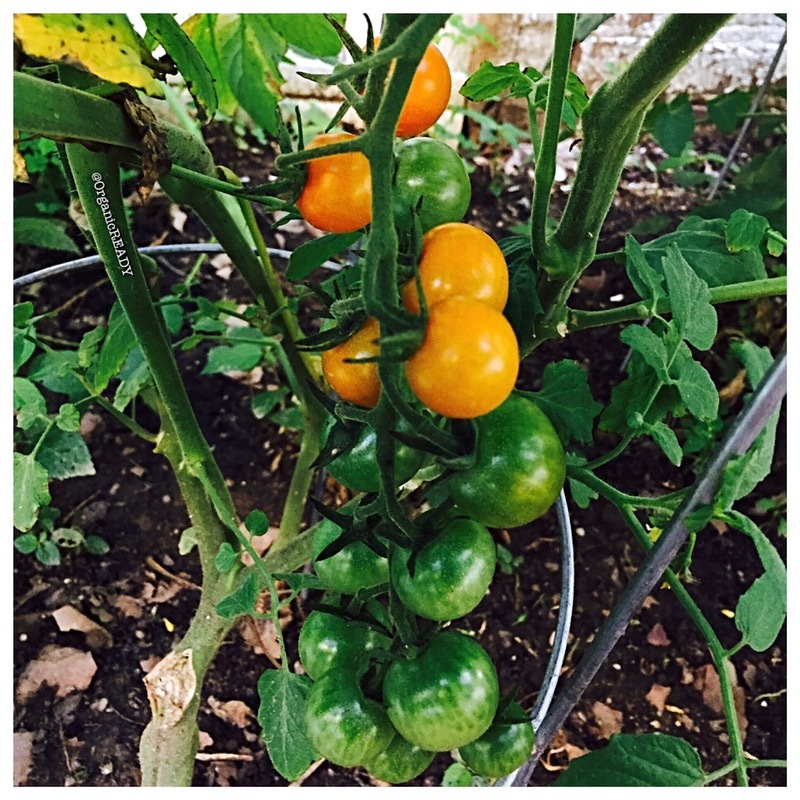 My heirloom Hartman’s yellow Gooseberry tomatoes are sweet, mild and very tasty. This is my first year planting them, and I’m pleased by the results so far. When I purchased this seedling, it was about a foot tall. I dug a whole twice the size of the pot it came in, and covered the whole root system with compost soil mixed with the dirt I dug up. I then sprayed it with diluted liduid kelp to give the plant a little boost of nutrients to get it going. Within one month of adequate even watering and good sunlight, the plant tripled its size. You can eat these raw or sautéed. Anyway, you’ll just love the taste. The color will also brighten up any dish and will wow any crowd. Not to mention, they’re also very easy to grow. Spacing between plants: 2-3 feet apart for room to grow. Cutting the tomatoes from the vine with a scissors protects the plant and the fruit. Don’t tug or pull. Fertilize with Azomite and liquid Kelp both add calcium and trace minerals. Store tomatoes if green on the countertop, stem side up to ripen. If you refrigerate – limit for 3-5 days, this will also effect the flavor and texture of the tomato. Stake, trellis or cage tomato plants to support and keep them from the ground. Growing tomatoes in the summer is simple, plus if you don’t have a garden, growing in containers work just as fine too. 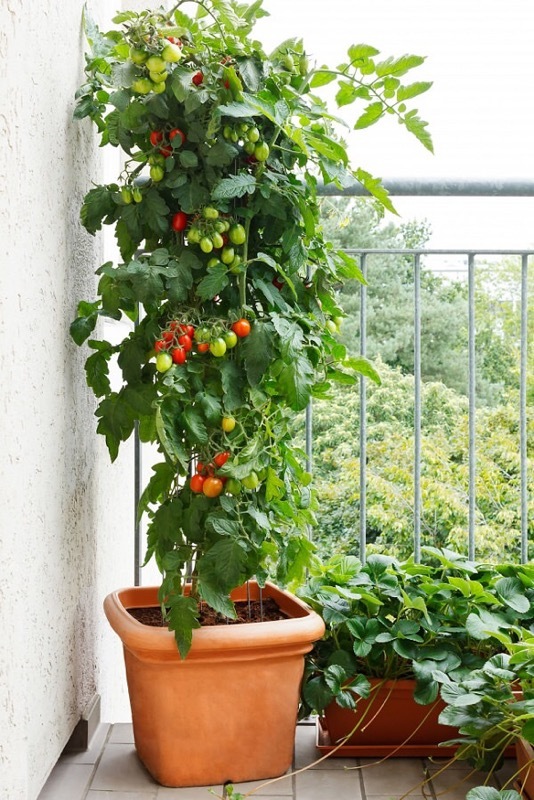 You can grow beets, lettuces, carrots, cucumbers and so much more in pots on your balcony or patio. If you have the space and the sunlight, go for it. Check this beauty out below! Resources: Grow Organic – Online resource for everything organically grown.